Go to the Demo tab and enter a few details, just enough so we can contact you while also protecting your privacy. These are as safe as safe can be. Contact me about anything and everything. Getting this demo up was a rush job, so if you are frustrated in any way or, even better, have questions, contact us. Texting and calls are welcome. 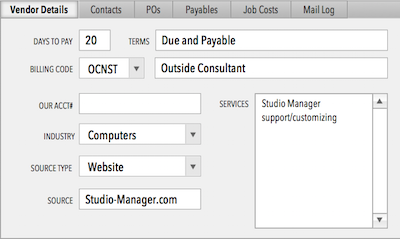 Previous post: Studio Manager 15 is Out! Next post: Our Main Phone line is now an iPhone!